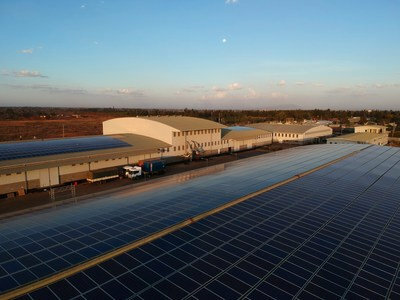 NAIROBI, Kenya: Rendeavour has installed its first solar power plant in Kenya, as part of a 30 MW strategy for Tatu City, the company’s new city development in Nairobi. The installation is in line with Rendeavour’s long-term commitment to environmental conservation through harnessing renewable energy sources. The solar power plant – installed on the roof of Dormans Coffee’s global headquarters at Tatu Industrial Park – provides 1 MW of electricity. Installation of the entire plant, including 15 kilometers of cables, took only six days. Tatu City’s strategy is to install solar panels on all rooftops at the industrial park, the largest in East Africa, said Nick Langford, Kenya Country Head for Rendeavour, Tatu City’s owner and developer.